Police officers in Charleston County, South Carolina have challenged books on a suggested summer reading list for incoming freshmen at Wando County High School. They believe that two of these books would promote an anti-police mentality among these impressionable young readers. I seriously doubt it. The two books in question are The Hate U Give by Angie Thomas and All American Boys by Jason Reynolds and Brendan Kiely. Both of them include the death of an unarmed character in an act of police violence, a real issue plaguing black communities. Such violence is an inescapable and haunting part of the news. It seems as if every week we hear of another person being killed. Great literature is made from the time when it’s written. Isn’t that the kind of book that students should be reading? If you’ve read either of these books, the stance of the local police officers seems reactionary at the very least. It’s possible — as happens all too often — that those calling for the removal of these books from the reading list haven’t actually read the books, and so their alarmist opinions on the books amount to hearsay. This isn’t the first time The Hate U Give has been challenged, either. “Whether it be through social media, whether it be through text message, whether it be phone calls, we’ve received an influx of tremendous outrage at the selections by this reading list,” John Blackmon, President of the Fraternal Order of Police Tri-County Lodge #3 in Charleston County, told WCBD News in Mount Pleasant. Blackmon and Fraternal Order of Police are calling for both The Hate U Give and All American Boys to be removed from the list, leaving only Love Letters to the Dead by Ava Dellaira and 23 Minutes by Vivian Vande Velde. Looking at the books themselves though, my theory — that the people calling for their removal haven’t read them — has to be the case. In The Hate U Give for example, one of the most important positive adult role models is MC Starr’s Uncle Carlos, a morally-upright father figure who has helped raise Starr and who — wait for it — is a police officer. The Hate U Give is complex and full of nuance. It is the kind of book that police officers should want teenagers reading because one of the things it says is: yes, police have murdered innocent children in our country. No, police officers are not the bad guys. The evil in our society is the machinery of hate, oppression, and fear that causes police violence in the first place. 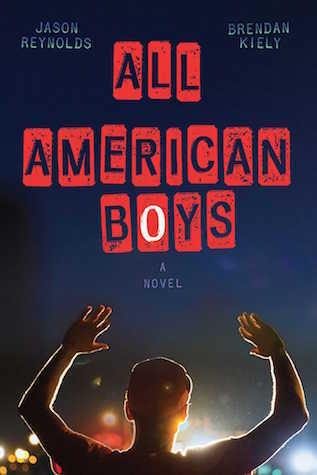 All American Boys, too, comments on society’s endemic racism and its effects on individual teenagers. It has a POV that alternates between Rashad, a black teenager wrongfully accused of shoplifting and assaulted by a police officer, and Quinn, a white teenager who witnessed what happened. As a former high school teacher, I can tell you that racism and its effects are on many teenagers’ minds. They have grown up in a world where they have seen young black men accosted or murdered just for existing while black. But as a teenager, it can be hard to ask questions about such a difficult topic, especially when so many white people are so full of vitriol that they’d quickly do something like call the cops on a little girl selling water — or try to get books from authors of color taken off of a high school reading list. She saw herself reflected in the book, not only in the way the characters talked but in the struggles they experienced in their daily lives. That kind of realness is why we read fiction. These kids in South Carolina need the opportunity to see what life is like through Starr’s and Rashad’s eyes.